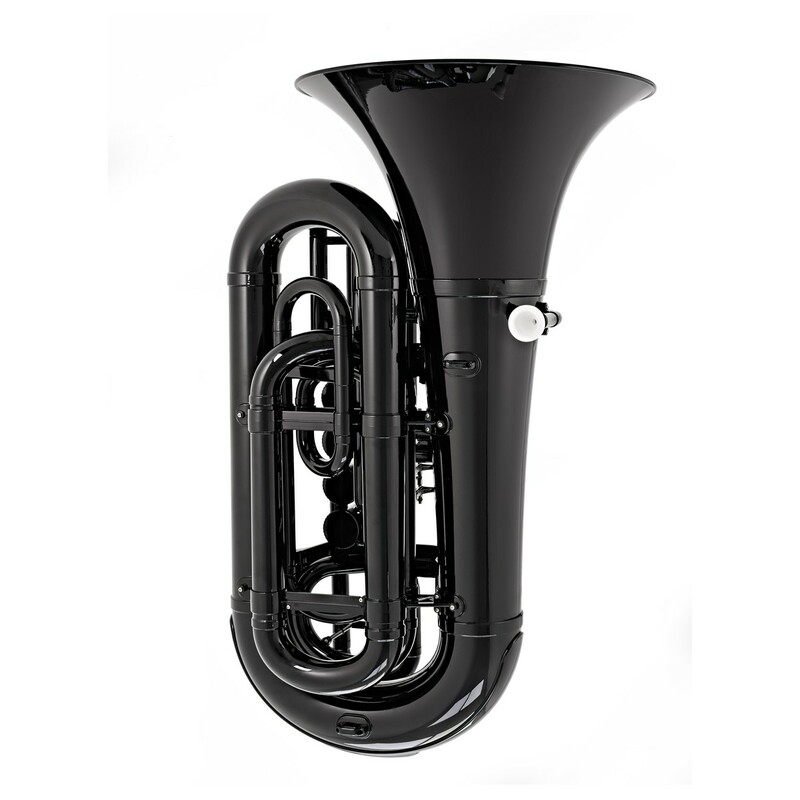 The playLITE hybrid Bb tuba by Gear4music in Black and White is a lightweight alternative to the traditional brass tubas. Featuring a ABS plastic body, this instrument is ideal for younger performers as well as professionals looking for a lightweight alternative. The aluminium lined rotary valves are fast acting and give a great feel. 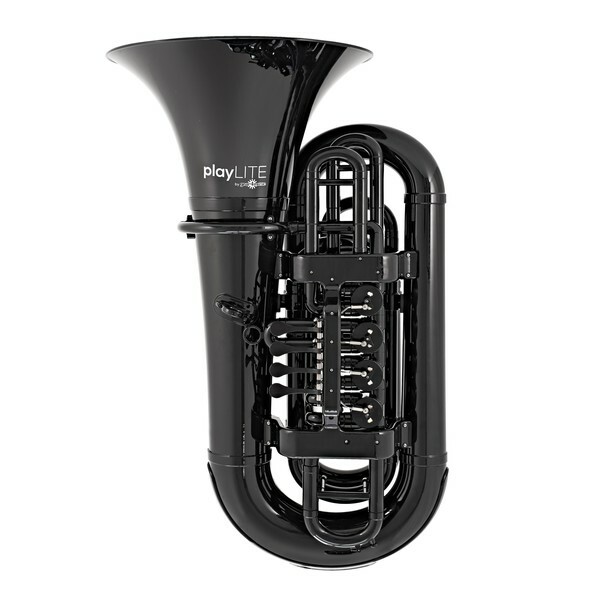 The playLITE 4 valve tuba remains authentic, featuring a traditionally shaped front action body that has a realistic tone with a clear projection. 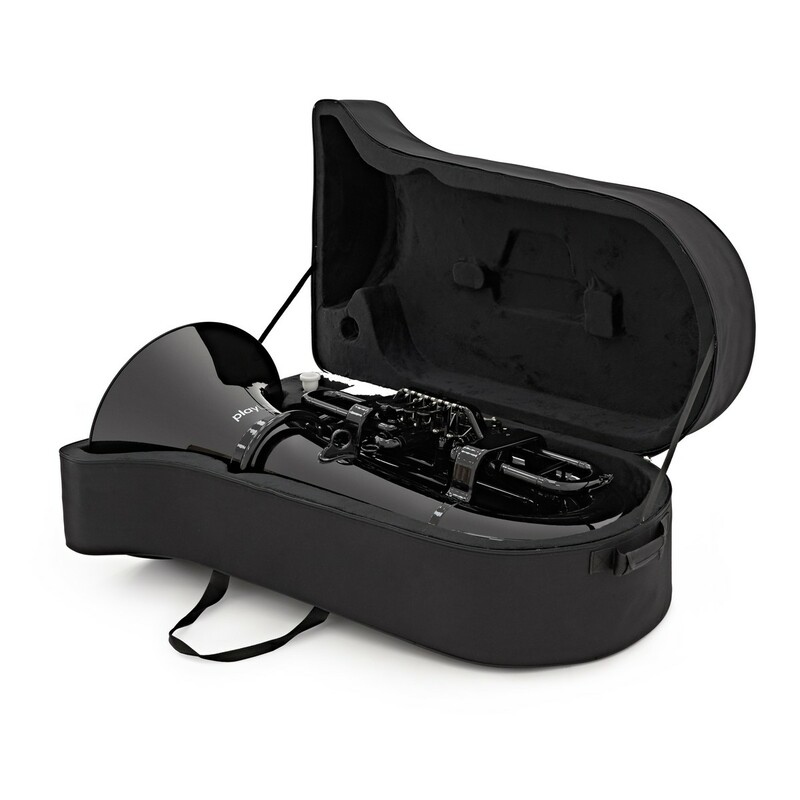 Included with the playLITE tuba is a plastic mouthpiece and hard foam case. This instrument not only plays brilliantly, but also looks great! 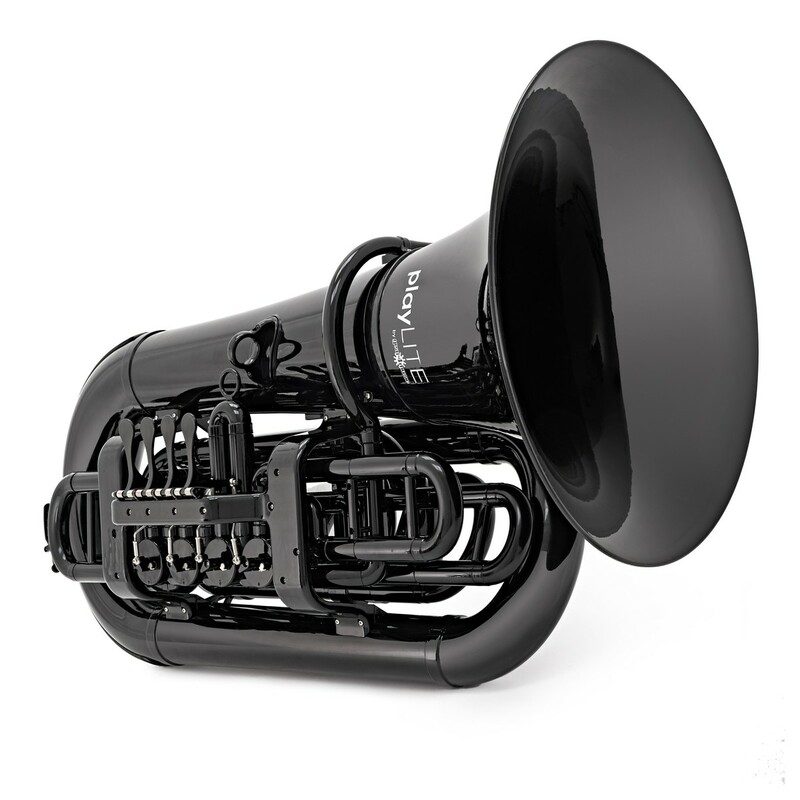 Featuring a sleek black body with white slides, this instrument weighs very little in comparison to a standard brass tuba. 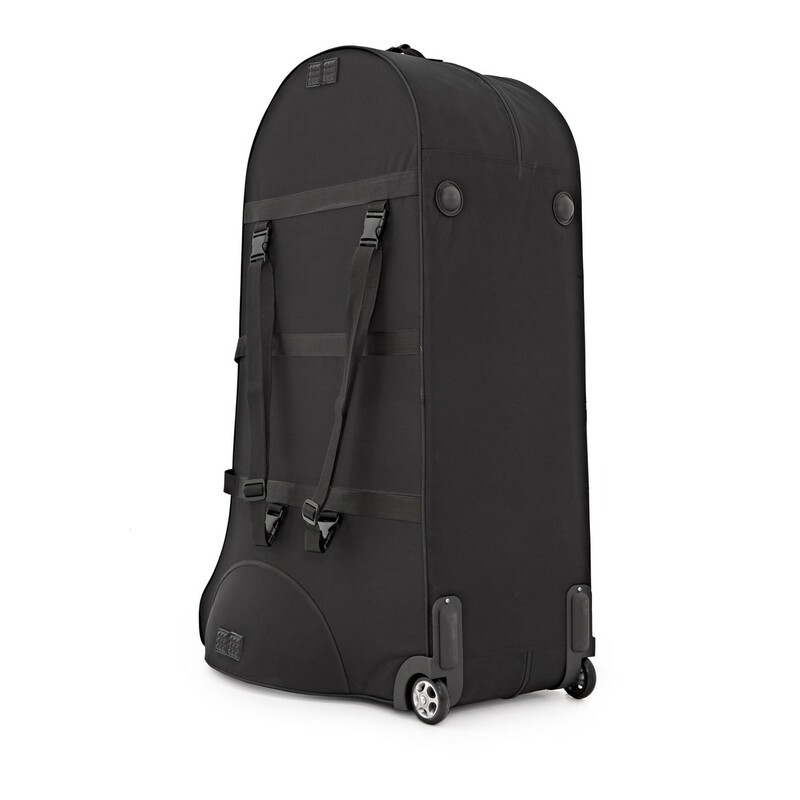 This is ideal for performers who would otherwise struggle to hold a brass tuba when stood for prolonged periods of time, as well as advanced players who are searching for a lightweight instrument for marching or for stage. The body of this instrument creates an authentic sound that is comparable to that of a brass tuba, meaning it can be easily used in ensembles as well as for individual performances. 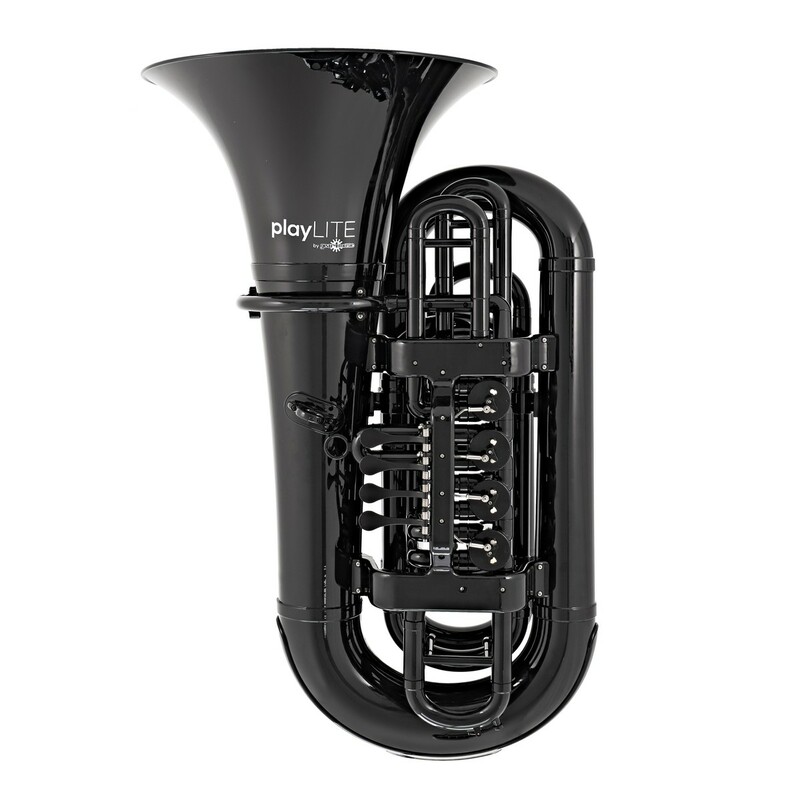 The playLITE tuba gets its hybrid title from its great feeling, fast action rotary aluminium valves. The plastic moulded valve case has an aluminium collar built in to provide a tight and precise seal, meaning no air leakage and a better projection. As a result, the instrument is very hard wearing and will withstand the rigours of continued use. The aluminium valves are also easy to maintain as this instrument can be lubricated with any standard brass valve oil used on conventional instruments. The already accurate intonation of this tuba is aided further with fully adjustable valve slides, as well as a main slide for general tuning. 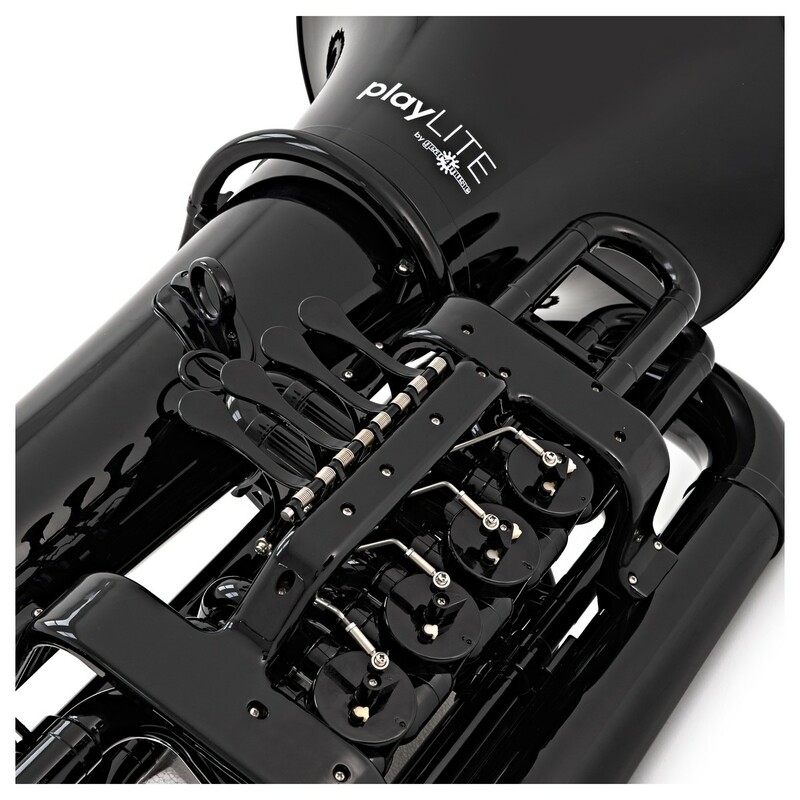 The playLITE tuba comes as a complete package so that the performer can get playing straight away. 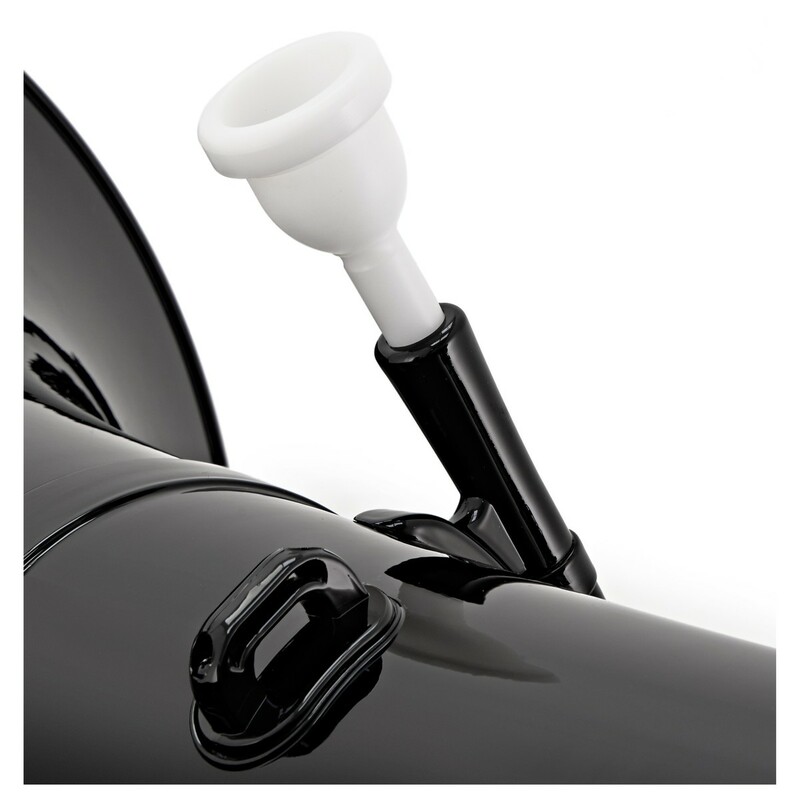 Included is a plastic mouthpiece that is suited to all-round playing, however the instrument is also suitable for a standard metal mouthpiece. 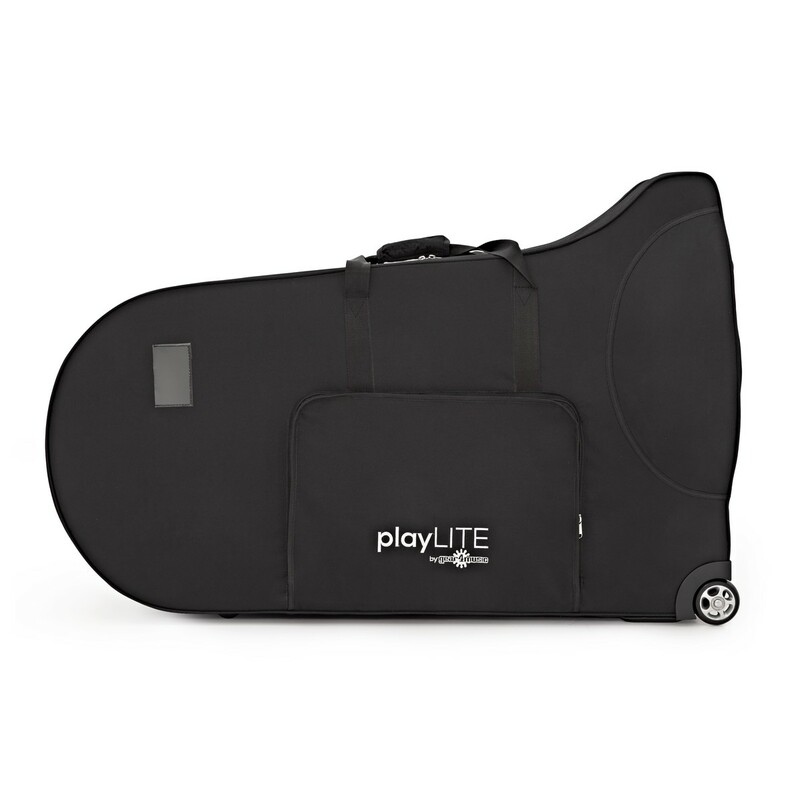 The playLITE hybrid tuba now comes in a hard foam case. To keep your instrument safe and secure whilst travelling and transporting, the included foam case absorbs shock and gives the instrument a snug fit.